Every ship needs an anchor, and at Benchmark Resources, that’s Dave Brown. Dave is often just “one of the gang” at the office, but as founding principal and president of the firm, he is also our respected leader. Dave is calm in the face of situations that would cause others anxiety, decisive when debate needs to end and action needs to begin, and always ready with sound advice drawing from his sharp recollection of experiences from his work in land use permitting, SMARA, and environmental analysis since the early ’80s. He’s real, he’s honest, and—who would have guessed it—he does the best impression of a waddling duck, which he busted out perfectly at a crowded and contentious public hearing when he decided that nothing short of an actual demonstration would achieve his client’s objective. While Dave often feeds us good advice, he also feeds us great food. Some of us try to resist, but there’s no denying that we all crave what Dave has to offer in leadership, advice, and calories. Dave provides strategic oversight for Benchmark’s public agency and private industry clients. His experience with all facets of environmental compliance and permitting provides Benchmark’s clients with wide-ranging insight that facilitates project success. Dave is most recognized as experienced in mine and reclamation planning; he has been involved in SMARA compliance since the 1980s and participated in developing and shaping its regulations. However, his experience includes public works and private development projects, such as general industrial uses, solid waste landfills, transmission lines, county prisons, and commercial and residential developments. He has served as the principal, project manager, and primary author for scores of planning and environmental documents in both urban and rural environments. If Dave Brown is the glue that holds Benchmark Resources together, Bruce is the contact high we get from that glue. Bruce is the perpetual up-lifter at the office, from his singing when he first walks through the door in the morning to his lighthearted “I’m putting you in charge” command to one of us when he leaves for the day. His infectious character leaves us all spouting Bruce-isms at the office and at home (you know that’s right). Bruce is “magical” at being a facilitator and diffusing tense situations, which comes in handy at team meetings and public hearings for controversial projects. He approaches nearly everything he does with true gusto, whether explaining CEQA or formulating project strategies. Bruce also applies his intelligent, positive, and truly joyful attitude to coaching his son’s baseball team and trouncing us in office ping pong games. Benchmark Resources simply could not exist as we know it without the continuous contact high we get from Bruce. Bruce specializes in federal, state, and local environmental law and regulation. 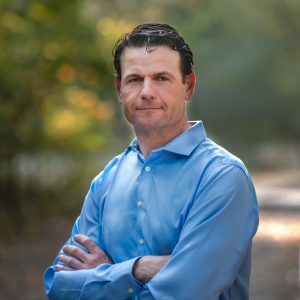 After beginning his career at Sacramento law firms focused on land use and mining law, he joined Dave to strengthen the firm’s permitting and regulation compliance practice, especially in the areas of wetlands, endangered species, and water quality compliance. 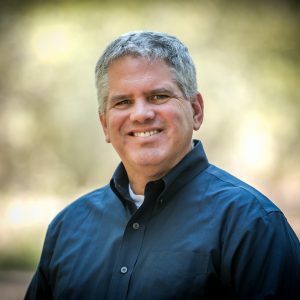 In addition to these specialty areas, Bruce has become a favorite of clients for managing the difficult tasks involved with preparing and processing environmental documentation under CEQA. 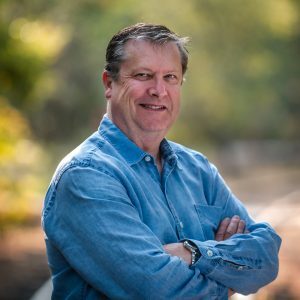 His diligence and knack for seeing through obstacles in the public process has led to successful CEQA compliance for mining; oil pipelines; and industrial, commercial, and residential development projects. Bruce formulates strategies for and oversees regulatory compliance, environmental and permitting success, preparation of technical documents, applications for reclamation plans and use permits, and adjunct planning and SMARA services for lead agencies. Maybe it’s his background as an attorney, but Andrew is talented when it comes to developing an analytical approach to any problem. Whether he’s addressing a complex land use entitlement, a tricky environmental issue, or developing a strategy for obtaining permits for controversial projects, he thinks big picture and then drills down to the details. Andrew makes a point to be “in the know” in the mining industry, keeping up with ever-evolving SMARA and environmental regulations to be armed with knowledge that can be successfully applied to our client’s projects. But we also suspect that Andrew’s interest in staying abreast of statewide issues also gives him an excuse to visit trendy new restaurants and breweries throughout the state. Even when he’s focused on formulating strategies for project success, he’s willing to briefly change gears and provide advice on local restaurants, food, and beer to anyone who needs a recommendation. Andrew assists industry clients in managing the preparation of use permit and reclamation plan application packages, which includes authoring and overseeing technical studies, project descriptions, mine and reclamation plans, and resource impact analyses. Andrew has “cradle to grave” involvement in these projects, which includes initial site constraints analysis and project feasibility, site design, subconsultant management and oversight, environmental processing support, and hearing presentations. He provides experienced formulation of strategies for legal, environmental, and permitting approval and compliance. Andrew has provided consulting services at over 160 mine operations in California on all aspects of permitting and compliance, including the preparation of over 30 use permit and/or reclamation plan amendment application packages, 30 reclamation plans, 100 financial assurance cost estimates, 35 environmental documents, and 100 SMARA inspections. His 4 a.m. e-mails are not meant to impress, he simply uses the freedom provided at Benchmark to run his own schedule. Bob is perpetually “on” when it comes to driving projects and resolving CEQA and NEPA issues. His productivity during the early morning—which some of us think of as the middle of the night—is just one of many signs of his dedication. Sure, his mountain bike rolls some dirt onto the office floor every once in a while when he returns from a lunch ride, but that’s a small price to pay. Bob’s long-term environmental planning experience is nearly as valuable to us as his witty one- (or two-) liners during staff meetings. Bob is the embodiment of tenacious, and just the guy you want assigned to that tough project. Bob manages environmental planning and review processes, conducts resources analyses, and prepares environmental documents for CEQA and NEPA compliance. He has successfully managed complex and controversial projects for transportation, water resources, energy infrastructure, and aggregate mine projects, ensuring that lead agencies have objective and defensible environmental documents to support their project approval decisions. Bob manages all aspects of the environmental review process, including developing environmental review strategies, managing teams of experts in preparing technical resource studies, writing environmental documents, and assisting public agencies in conducting public outreach and hearings. At Benchmark Resources, we know mining. However, being experts in mine planning and permitting wasn’t enough, so we brought on Andrew to help us get our hands dirty. With over 25 years as a geologist and engineer at gold, limestone, and specialty sand operations throughout the country, Andrew brings development and production experience to our clients. Whether he is designing a haul road, evaluating the reserve, or offering advice on equipment, his breadth of capabilities is remarkable. Don’t be confused by the road bike in his car next to the rock pick and sample bags. Like Superman, Andrew will change from a bike helmet to a hard hat in the blink of an eye. 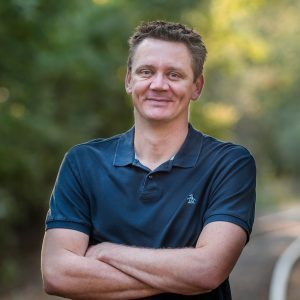 He is an experienced and talented road cyclist, using his down time to ride California’s backroads and stay in shape for his frequent road races. 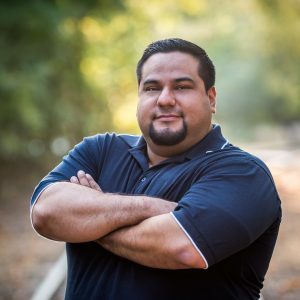 Andrew is a California-registered professional geologist and mine engineer and has worked on mining projects in construction aggregates, industrial minerals, and precious metals throughout the United States and western Europe. He has served as exploration geologist, mine geologist, senior mining engineer, and mine manager. He has managed the development of mine plans and mine operations for open pit, underground, and dredge mining. His mine planning work has been designed to comply with reclamation, environmental, and permitting plans. He has managed the development and maintenance of hydrogeologic studies in both open pit and underground mining operations to achieve mine plan specifications and comply with environmental and other regulatory requirements. Andrew’s focus at Benchmark includes geologic investigation, reserve assessment, open pit mine design, and SMARA work consisting of mine inspections, financial assurance cost estimates, reclamation plans, and mine closure. Benchmark values high-quality documents, so we brought on Christy to make sure the work abides by the rules of English, not just the rule of law. She joined the firm after years of experience with publishing companies and international environmental consulting firms. At Benchmark she was given the latitude to implement her analytical talents in environmental analysis and apply her graphic training to creating visual simulations. Christy has prepared project aesthetics simulations that are so realistic looking you would not know the project is not already complete. Christy is also in the thick of Benchmark’s cycling subculture, but, as the postride pint of local brew might suggest, she’s a mountain biker at heart. 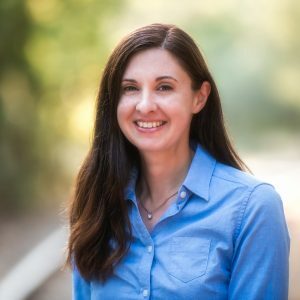 Christy conducts environmental analyses, prepares documents in compliance with SMARA (e.g., reclamation plans, interim management plans), and prepares storm water pollution prevention plans under the Industrial General Permit. 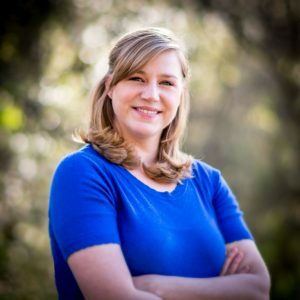 She has helped to prepare CEQA and NEPA documents related to mining, wastewater treatment, flood control, groundwater contamination, schools, prisons, and residential development. Christy also creates visual simulations that represent future views of projects for visual analyses and/or public relations. Her technical experience combined with her strong analysis and writing skills help ensure Benchmark’s work products provide well-developed analyses with clear supporting evidence, which leads to public understanding, legal defensibility, and environmental compliance. Benchmark Resources has always set high standards for its graphics, but Mark’s training as a landscape architect took our topography to new elevations. Mark manages our Mapping and Visuals department, as well as our need to know anything about modern films and television series (from Game of Thrones to Unbreakable Kimmy Schmidt), and don’t even get him started on UFC fighters. Mark is always looking to improve our game, such as implementing the latest and greatest rendering software for creating more realistic aesthetic simulations and animated video simulations of projects. Benchmark’s superior project designs are even better with Mark’s execution. Mark is a computer-aided drafting (CAD) technician, geographical information systems (GIS) specialist, three-dimensional modeler, and visual simulations specialist. He visually represents complex data to make it more accessible, understandable, and usable. His experience includes creating advanced cartographic figures, geographical spatial analyses, and photo-realistic visual simulations and digitally modeling terrain, habitat, and structures for visual analyses and/or public relations. 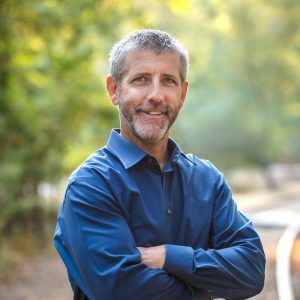 He has created visuals for mine plans, reclamation plans, environmental impact reports, aesthetic analyses, and public marketing presentations. Katharina has been with Benchmark Resources a long time (since 2008). We take great pride in the documents we produce, and while a lot of planning expertise contributes to the quality of our documents, Katharina makes the final products shine. Katharina’s manages our production department, handles invoicing, and assists with financial assurance cost estimates and mine inspection report preparation. She also assists with pulling together proposals, where she applies her vast knowledge of current and past projects, including all things Benchmark. She’s organized, efficient, and so dang calm in the face of what would have others buckling under the pressure. Call and she’ll answer the phone with a friendly hello, and you’ll never guess she’s in the middle of a 50-document production run that’s headed out the door in 20 minutes! Though we are well aware of her organizational talent, we still had our doubts when she became a mother of twins in 2016, but fast forward and you would have never guessed it. When not at Benchmark, she enjoys spending time with her family and friends, hiking, kayaking, camping, and working on her home as a DIYer.